They say that the smell of freshly baked bread is one of the best ways to impress prospective buyers. Our house has a tendency to smell of cats (or at least their food and leavings) so I popped some of these onto the Ocado order to both serve as a nice weekend breakfast and fragrance provider. 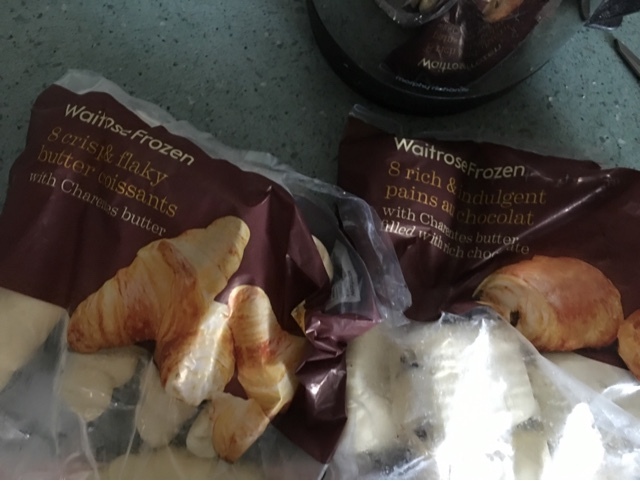 As you can see - they are frozen (like the ones you get from the in store bakeries are before they arrive) and to my surprise you get 10 in a bag. That seemed like a lot, but I popped them on the tray and they looked tiny! 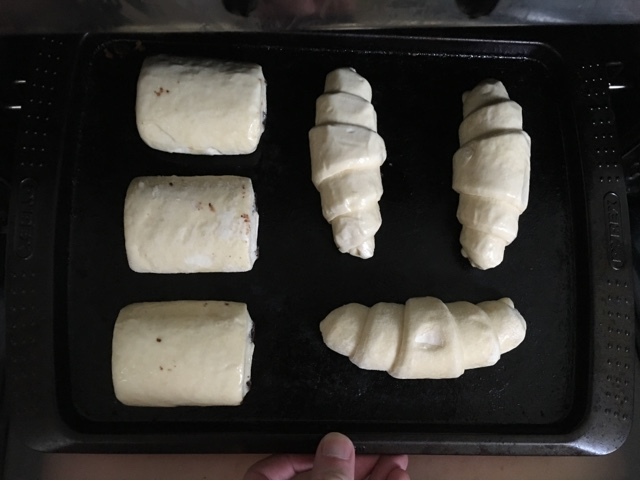 I even put 4 on the tray and took the photo and closed the oven before I chickened out and redid it with another one of each kind. Turns out they expand pretty nicely and are normal sized after all! I think I had the oven a little high as the bottoms were a little dark and they had puffed up more than I'd expected. They were indeed of in-store quality, and I wouldn't be shocked if there are cafe owners that are using these or similar to impress their customers. 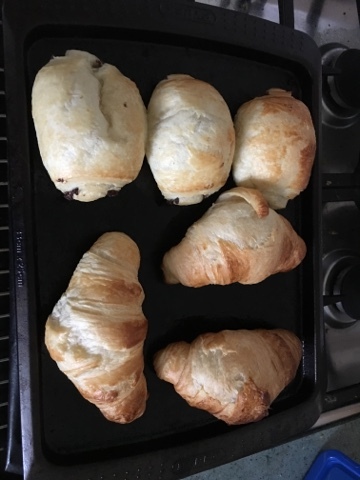 The pastry is flaky but still moist in the centre and the chocolate was of a good quality, and not too dark. I was surprised that the mix wasn't as buttery as I'd expected, but if you had these with jam and butter then you could easily tweak this to your preference. These are worth waking up a little bit earlier to make (or in our case getting up due to a kitten sitting on your head and popping these in once they have been fed). I may even sneak down early one work morning and put these in so that I can go out in the cold having had a warm continental breakfast.